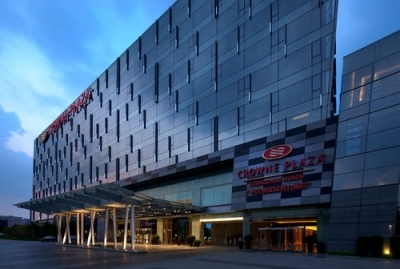 The Crowne Plaza Guangzhou Huadu (Guangzhou Huadu Huangguan Jiari Jiudian) is located at the intersection of Yingbin Avenue and North Wanhe Road, close to Huadu’s largest jewelry trade market. 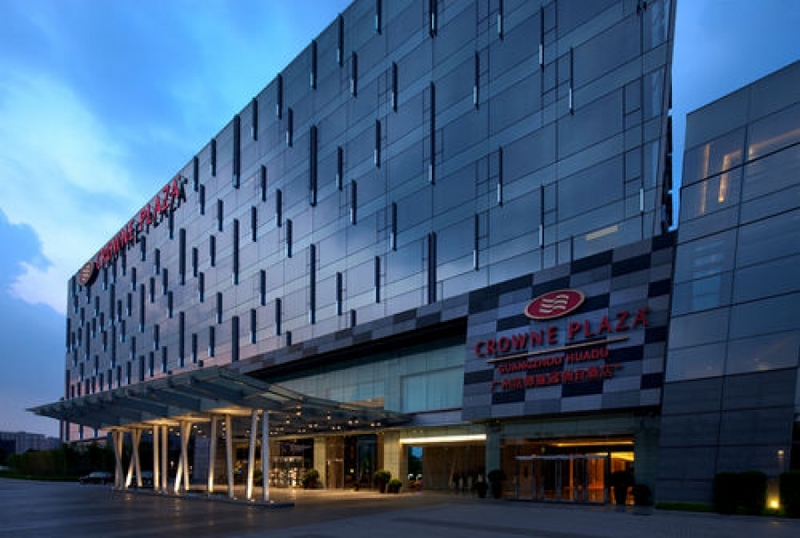 It is only a five-minute drive from Guangzhou New Baiyun International Airport and Guangzhou North Railway Station.The 9-story hotel offers 299 luxury rooms and suites with all the amenities expected from this international chain including free high-speed Internet. The VIP floor offers express check-in and checkout, two hours free in the meeting rooms as well as free tea and snacks all day in the VIP lounge.The property tempts guests with three restaurants and a lobby lounge. The Chinese restaurant provides classic Cantonese cuisine and dim sum. In the Japanese restaurant, guests can savor Japanese dishes. The Garden Caf?serves a range of Western and Asian dishes with seasonal festival foods from around the world, while the connected outdoor garden is available for all kinds of gatherings, parties and weddings. The lobby lounge is a perfect rendezvous where guests can enjoy their favorite drinks and snacks among friends in a relaxing atmosphere.Business travelers have a host of well-appointed meeting rooms at their disposal, including seven function halls and one deluxe banquet hall, which are all equipped with top-of-the-line facilities and audio-visual equipment. The banquet hall seats up to 1, 600 and can be configured for four function halls. The professional meeting team are available provide one-stop services for any event.At leisure time, a workout in the gym or a refreshing dip at the outdoor swimming pool will help guests unwind.